Raised in the rural farming community of Colby, Kansas, Schultz -who was adopted into his family at two weeks of age -showed all the early promise of a prodigy even though musical prowess was not a family tradition. He excelled in sports; running track, quarterbacking the football team and starting on the basketball team. But all his glories on the field were evenly matched by an emerging musical talent. Mark first experienced life on the stage as a member of the high school's jazz group. 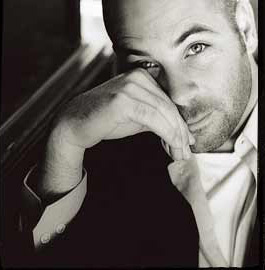 Schultz joined the show choir in college, and eventually was spotlighted as a solo performer on the group's tours. And behind the scenes, Mark was quietly honing his skills as a songwriter. That's when the call came. Mark Schultz started out waiting tables, but then became a youth director at a local church where he began bringing not only his time and attention to the youth at church, but also his songs. In fact, most of the tunes he pens revolve around the lives of the people he met and worked with in his role as youth leader. Concerts at First Presbyterian started becoming regular capacity-crowd events. Mark Schultz's new Myrrh album, the self-titled Mark Schultz, is a powerhouse debut, featuring the production talents of Monroe Jones (Third Day, Chris Rice, Margaret Becker, Ginny Owens, Wes Cunningham, Watermark) along with a bevy of Nashville's finest studio musicians. Rocketown songstress Ginny Owens lends her silky vocals to the ballad "Remember Me," and throughout the album, Schultz's pop-vocal sensibilities stand out. As someone who's long admired such singer-storytellers as Billy Joel, Dan Fogelberg and James Taylor, Mark Schultz has mastered the fine art of creating memorable melodies and mixing them with tender tales of the heart. Stories & Songs picks up where the best-selling Song Cinema left off, delivering cozy melodies often punctuated with emotional twists that leave the listener both inspired and teary-eyed. 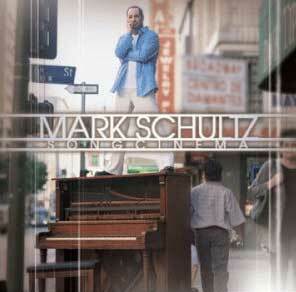 As always, Schultz's soulful voice is front and center on these mostly piano-based tracks. Co-writers Cindy Morgan, James Elliott, and Chris Eaton lend their skills on a few tracks; with Morgan's contribution to 'Letters From War' making it one of the standout songs on the album. 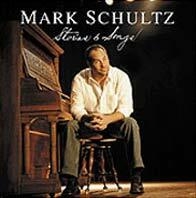 All said, Stories & Songs is Schultz's best release to date, and is a must have!